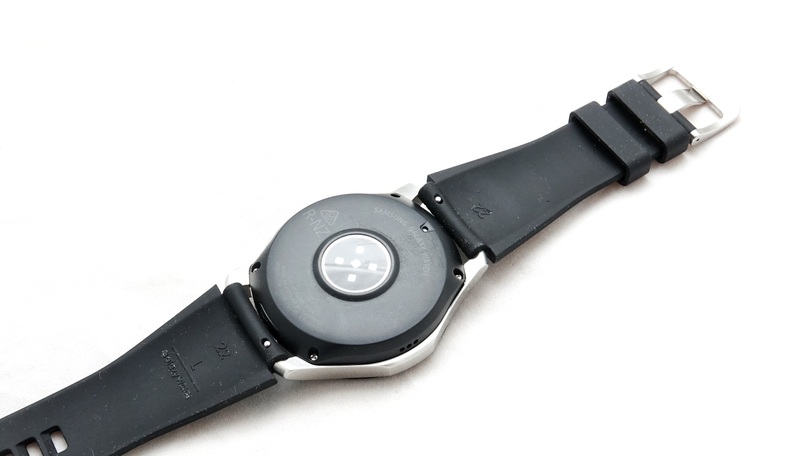 Is a full work week of battery life capable from a wearable device like a smartwatch? The 46mm Samsung Galaxy Watch shows other smartwatches how it’s done. Kinda. I’m sitting here watching the battery go down as we go through the Galaxy Watch review wondering just how Samsung has done it: a smart watch that doesn’t compromise on features or screen technology, and yet somehow fits into a week-long watch. It’s crazy. I haven’t actually gone out of my way to make the watch handle itself well in battery life. 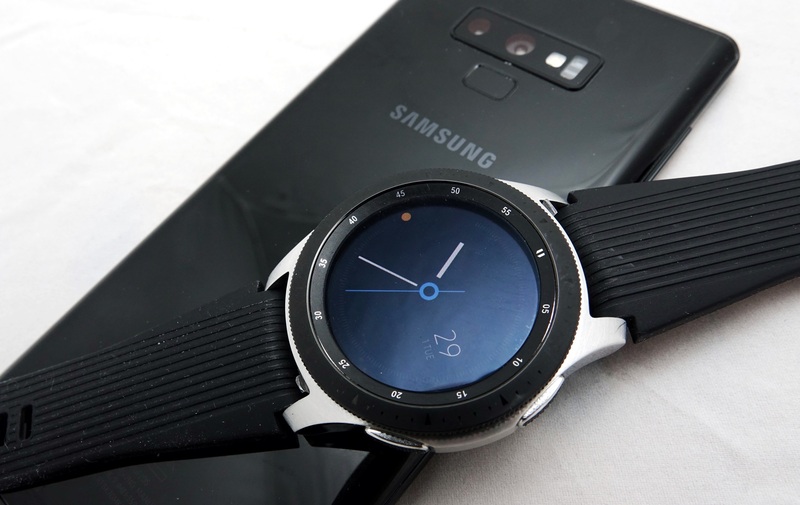 I’ve been using the Samsung Galaxy Watch exactly the way I normally would, the way I would that would get an Apple Watch and Samsung’s older Gear S3 smartwatch each a max of two days of life, and yet the Galaxy Watch is achieving almost a full week. Almost a full week of battery life, where I’ve checked the time, had it track some incidental bouts of fitness, and even managed to have a few phone calls through the watch itself. Close to a week of battery life is staggering. Is Samsung’s Galaxy Watch the smartwatch we all need? 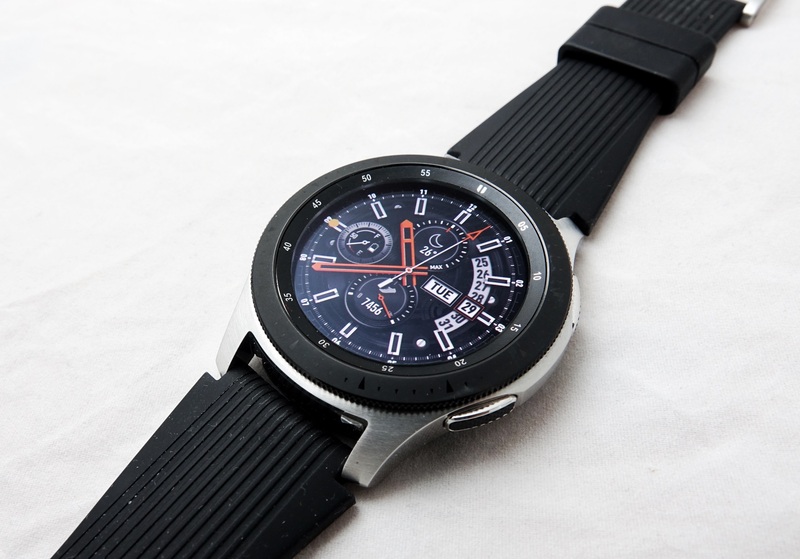 It’s been almost two years since we last saw Samsung really take on the smartwatch space, and it was back when the Gear S3 grabbed attention for a refined take on its rugged circular wearable with a great rotational control aesthetic. Since then, Samsung has made a smaller and sporty iteration in the Gear Sport, and now we’re back for a proper sequel to the Gear S3. There’s a new name and a new focus on battery, but most of what you’ve seen in the past is still there, with another circular smartwatch with the rotational aesthetic, working alongside metal, plastic, and rubber for a heavy duty smartwatch. We’re checking out the 46mm model in this Galaxy Watch review, and that needs to be pointed out because that’s the big model, or rather the bigger of the two. There’s also a smaller 42mm range with a smaller battery, while the 46mm features one that goes the distance, and arrives not just with that big battery, but a larger screen. It also has an optional 4G edition, though the model we checked out was Bluetooth only, meaning you needed a phone to keep it connected, though you could load music onto the phone and run phone-less if you like, thanks to the storage inside. You’ll find 4GB of storage for you to work with, which also works with a 1.15GHz dual-core processor and 768MB RAM. 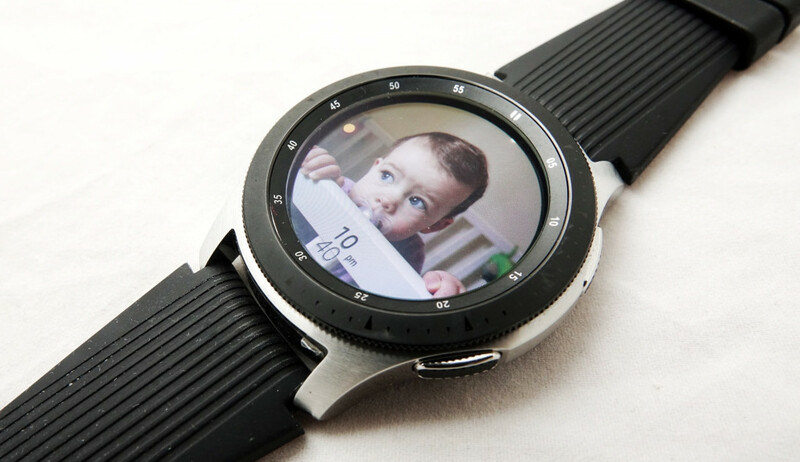 Samsung’s Tizen operating system runs over the top, making the Galaxy Watch compatible with both iPhones (iOS) and Android smartphones, thanks to the Galaxy app provided by Samsung. Connection options on our Galaxy Watch review unit may not include 4G, but they do include Bluetooth, Near-Field Communication (NFC), WiFi 802.11a/b/g/n, and a GPS to track your location as you move, though interestingly Samsung has made a decision to skip its Magnet Secure Transmission technology known as “MST” as part of Samsung Pay, offering only NFC for mobile payments. There’s also water resistance, however, with the Samsung Galaxy Watch sporting a rating of “5ATM”, which means you can take it into water when you swim or shower, but that you should avoid surfing or scuba diving with the watch. All of this sits under a 1.3 inch circular Super AMOLED screen running a resolution of 360×360, and in a watch that measures 13mm thick and weighs 63 grams. The 2018 46mm Samsung Galaxy Watch relies on a 472mAh battery that cannot be removed and is charged using the same wireless charging dock as previous Gear smartwatches. Taking Samsung’s Galaxy Watch for a spin is a little different than using another phone-connected wearable, and that’s thanks to Samsung’s controls. While most wearables are based around the touchscreen first, the touchscreen feels secondary to the control ring found here. Much like it has for the previous circular Gear smartwatch generations, you’ll find a circular control ring that affords you control to go clockwise or anticlockwise and select things, almost in a rotary phone style of way. It’s a design that is very easy to get the hang of, and feels even better in this generation, with the 46mm Galaxy Watch registering a notch with every segment, a physical bump that makes you feel like you’re actually touching and registering each screen you pass. And that’s kind of the point, because the wheel acts as a direct interface for controlling the watch, with the selection button occurring when you touch the screen. You can use the touchscreen instead of the control ring, and that works find as well, but you’ll also find buttons on the right edge acting as back (top) and menu (bottom), and these help to provide pretty much every major form of control you could expect a smartwatch to offer. With controls easier to get your head around thanks to the several ways you can do it, it’s time to actually use the Samsung Galaxy Watch, and that’ll depend on your need. For the most part, Samsung’s Galaxy Watch adapts to you, which is really the way a smartwatch is supposed to be, though it’s something that’ll depend on your needs. Throughout our Galaxy Watch review, we received phone calls on the watch and spoke occasionally in public through the watch face (which we think makes us look rather odd), had it check our heart rate and track the odd walk and such, and in general used it for notifications. There were some things it didn’t like, though, such as Apple Music, with the widget for controlling music refusing to touch Apple’s music service, but looking at Spotify and Google Play easily. 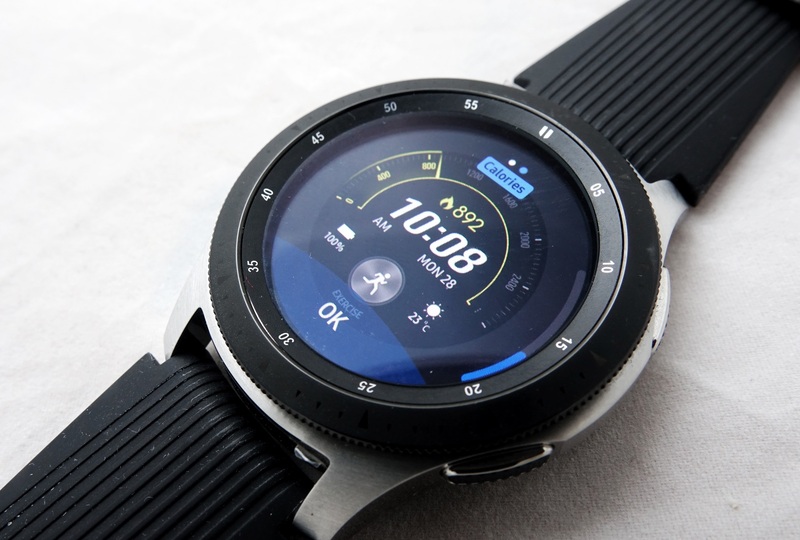 Its fitness tracking was also hit and miss, because while the Galaxy Watch would spin up a fitness tracker when it detected lots of movement and a raised heart rate, it almost always made the wrong assumption about what we were doing, confusing walking with cycling most often. Maybe it’s just how we were dragging our feet. But while fitness tracking has an issue or two, the real strength on the Samsung Galaxy Watch lies in something else: battery life. We were a little puzzled how well it was going by the third day, but as we pushed through, we were surprised to see just how sharp Samsung’s expectations matched the real thing. And on the fifth day, we charged. 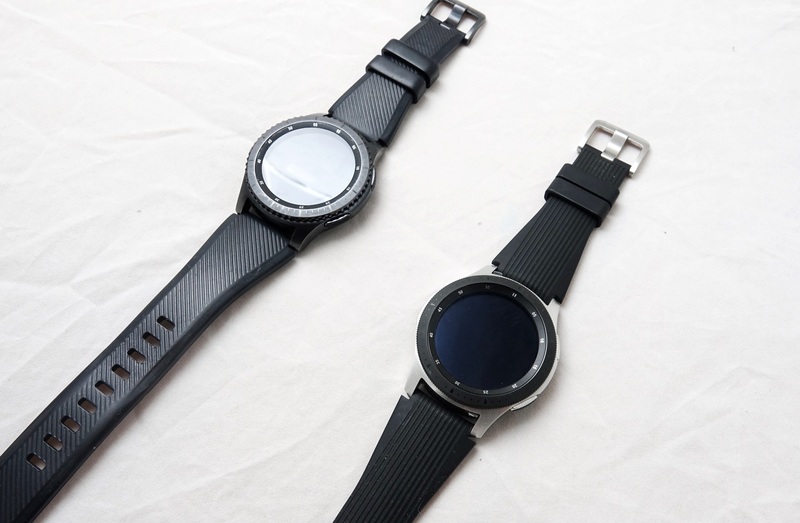 That is to say, the Galaxy Watch review we did revealed that battery one of the major focuses of the experience, because four and a bit days were possible from our time with Samsung’s 46mm Galaxy Watch wearable. We weren’t exactly easy in our testing — we never are — though we didn’t go for a daily or nightly run, thanks in part to a foot injury, as well as the usual bout of laziness. However we did more walking than we should have under the circumstances, and used the Samsung Galaxy Watch review period to take phone calls more times than we should admit, and the wearable held up. Oh my did it hold up. We made it through to five whole days without a charge, and on the fifth morning, the battery life of the Samsung Galaxy Watch sat at 25 percent. That’s not bad at all. In fact, it’s very good, offering a result few smart watches get close to. 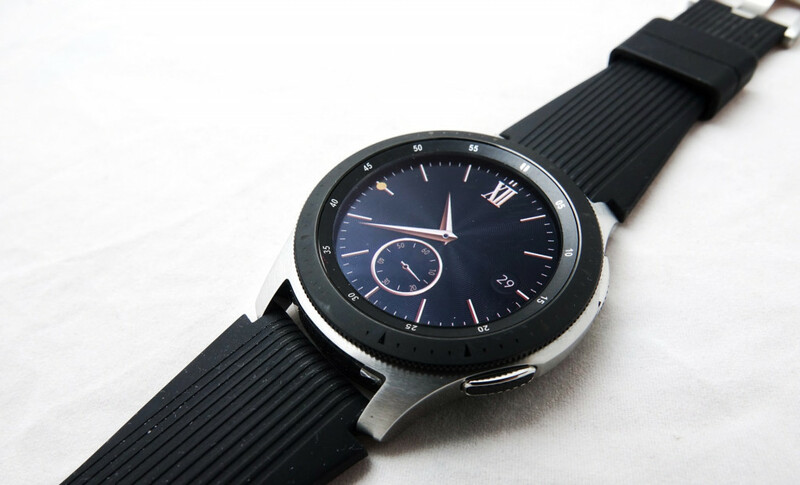 Certainly not many with a screen as nice as what Samsung is offering in this watch. We have no doubt that if we ran and pushed the GPS to check up on our position regularly like it does for fitness, the over 96 hours of battery life would begin to drop, likely to need charging every day or two. But if you’re using a wearable just as a daily thing, to send you notifications, to pick up calls on it, and to track the odd quick walk or so, you’ll find an impressive work week watch of battery life here. And at a price of $549, Samsung’s though, you’re paying very much for the big battery. 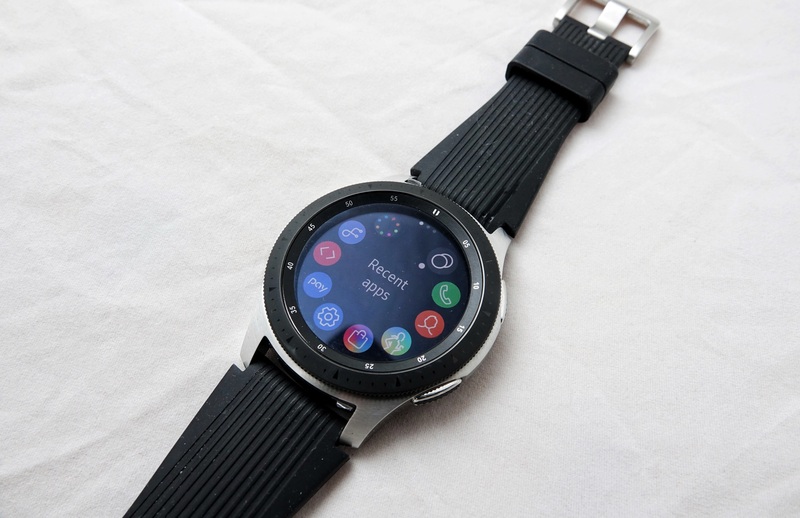 There’s little doubt that the long life of the Galaxy Watch is a major draw card, and there’s a lovely little Super AMOLED screen, too, though half a grand seems to be the entry price for flagship watches, putting the long lasting Galaxy Watch on a fairly solid footing as the Apple Watch. At least on price. As strong as Samsung’s Galaxy Watch is on the battery side of things, the improvements on the older Gear smartwatch are minor, and it a few years on, the same glaring issue is the one the Gear watches have always had: Tizen. For those who don’t know, Tizen is Samsung’s proprietary operating system, and it’s one that rolls out onto phones not available in Australia, while also appearing on fridges, TVs, and smart watches that are. In fridges and TVs, Tizen isn’t a glaring issue. For those devices, the lack of developers isn’t a huge problem, because a fridge and a TV has been made to do the things you generally need it to out of the box. But in a smartphone-smartwatch connected world where the apps should be linked and compatible — and the apps your phone relies on should be able to make the jump seamlessly to your watch — Tizen has an issue: not much developer support. That means if you regularly rely on an app that Samsung’s Galaxy Watch doesn’t have a Tizen connected app on the phone for, too bad. Spotify has one, and there’s a golfing one, and you’ll find a few random watch faces, but Samsung’s app marketplace for its Galaxy Watch offers nowhere near the complexity you might come to expect from Android’s wearOS, nor that of Apple’s iOS for Apple Watch. This comes while Samsung’s product page for the Galaxy Watch makes assurances that there is an “abundance of apps”, a pretty strange call-out on a product page listing features, though one that likely comes as a result of what reviewers like this one are saying. It’s a pretty consistent criticism, as the app store for the Galaxy Watch just feels like it needs more. It’s pretty barebones in there, and that means Samsung’s Galaxy Watch is more or less limited to what it comes with. Maybe a little more, but not much more at all. That’s fine if you’re happy with the smattering of watch faces and tracking the Galaxy Watch offers in the first place, and if you’re willing to bet Samsung’s Tizen will get more. We’re a few years in, and we’re a little less optimistic about that. The lack of apps on the Gear S3 (left) is something that affects the Galaxy Watch (right). With a battery that goes for days, Samsung has built a modern smartwatch for people who love extending their notifications to their wrist, though it’s one with a catch: the Galaxy Watch doesn’t feel as smart as it probably should. You can call it a problem with Tizen, but we’d call it one where Samsung hasn’t managed to get enough developers on board with its proprietary operating system. It’s a real shame, because we love the hardware, there’s support for eSIM for taking your phone’s voice and data capability on the go, and the whole package comes together nicely.